The old Band of the Hawk's friendly mediator. 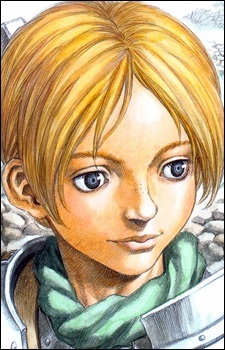 A former circus performer who wielded throwing knives, Judeau was also well-aware of the world around him and was seen as a confidant for many of The Hawks. Throughout his stay with the Band of the Hawk, he was secretly in love with Casca, but never acted on it out of respect for Guts' and Casca's feelings for each other.